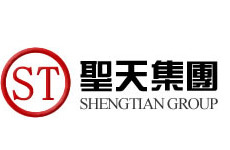 ASTM A53 steel seamless tube-Hebei Shengtian Pipe-Fitting Group Co., Ltd.
Hebei Shengtian is a dynamic company in a dynamic world. With approximately 1,000 employees in our 25 manufacturing plants, we strive to keep our team Hebei shengtian members, customers and vend ors informed of all happenings at the company. 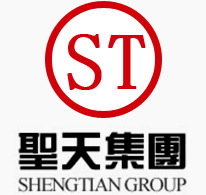 Our news articles below keep you current on some of the exciting things happening at Hebei Shengtian. Stainless Products supplies ASTM A53 steel seamless tube per ASTM A 213, ASTM A 269 and ASTM A 511. We supply common grades of stainless steel such as 304/304L and 316/316L in standard tube sizes and wall thicknesses. We can also supply more challenging stainless steel and nickel seamless tubing in 304H, 309/S, 310/S, 317/L, 321H, 347H, Alloy 20, Duplex 2205, Duplex 2507, Alloy 200/201, C276, Alloy 400, Alloy 600, Alloy 625, Alloy 800H, Alloy 800HT, 254SMO, AL6XN and others. We also supply seamless stainless steel hollow bar for machining applications with wall thicknesses in excess of 2″ for some stainless grades. Most sizes of seamless stainless steel and nickel tube can be cut to exact sizes. Non standard sizes can be made to order. We would like to introduce ourselves as Manufacturers and Exporters of Pipe Fittings such as carbon steel pipe fitting， 45o, 90o and 180o Elbows, Bends, Equal & Unequal Tees, Stubends, Eccentric & Concentric Reducers, Caps etc.